A hybrid-model in airline catering? The term “hybrid” is usually linked to the automotive industry and it means that different engines are combined in one car. But did you know: There is also a hybrid-model in the airline catering industry! LSG Sky Chefs’ has developed a hybrid-blueprint for our industry which combines high-end, complimentary services for premium guests with reasonably-priced, innovative offerings for Buy-on-Board passengers. The concept reflects the airline’s brand identity, is appealing to passengers and can continue to uphold high standards for operational efficiency – e.g. a smooth service. “Basic” appeals to the most price-conscious passengers, with no “extras” like food, drinks, or baggage allowance included in the ticket price. Guests have the option to purchase food and beverages from either the Buy-on-Board card or the monthly menu selections. “Smart” offers a standard fare, and the ticket price includes a number of additional services such as baggage allowance, preferred seating and a meal box with a snack, beverage and a dessert. 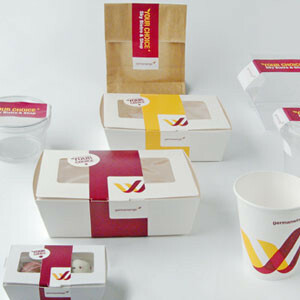 “Best” is reserved for Germanwings’ most distinguished passengers, offering maximum comfort – including complimentary, á la carte catering from both of the onboard menu cards as well as attractive extras like preferred seating, unrivaled seat pitch, additional baggage allowance, lounge access and more. This intelligent business model is evidence that entrepreneurial thinking achieved in trustful cooperation between an airline, leading IT specialist and LSG Sky Chefs can lead to a revolutionary approach. The Germanwings hybrid model has already proven successful over the past year and is truly an industry benchmark.